Troon, Arizona, is a community of North Scottsdale. Located near Happy Valley and Pima Road, seven miles from 101, Troon Village is a single-family master planned residential golf community around Troon Mountain. This community has gated, guard gated, and non-gated subdivisions. Magnificent views of Troon Mountain, the Sonoran Desert, the McDowell Mountains and Pinnacle Peak made this an amazing residential area. The elevation is higher than the rest of the valley, allowing for cooler temperatures as well as the views. Troon Village is the home of the Troon Country Club, designed by Tom Weiskopf and Jay Morrish. The golf course naturally integrates into the Sonoran Desert environment, making it a certified Audubon Sanctuary. Many Golf Championships, as well as the Arizona Open, have been hosted at Troon Country Club. This beautiful country club reflects the warm and friendly community. 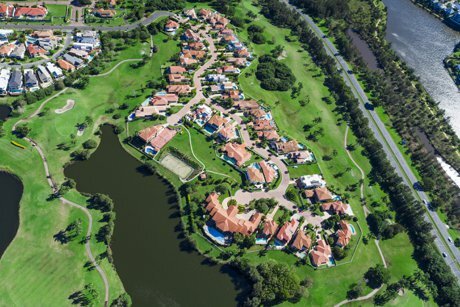 Besides the amazing golf course, people find many opportunities for connection with family and friends. Wonderful lunches can be found at the country club, as well as themed dinners, holiday celebrations, and various card or board games. The fitness center is well used, and tennis is a popular activity. The community considers the country club a home away from home and has different programs for families and friends. 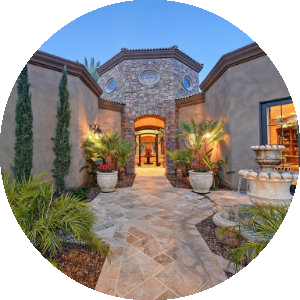 The real estate options in Troon include luxury homes of southwestern and Tuscan styles, as well as some simple ranch style homes. Many of the homes are three to five bedrooms and range from 1,500 square feet to 7,000 square feet. There are also townhouses available. Troon is governed by the TVA, to enforce community-wide standards in construction, remodeling, and any activities to exteriors. There are 12 sub associations that oversee the items that impact individual communities, including common area maintenance, road repair, and access gates. The tranquil area so close to the natural beauty of the desert and mountains, combined with the easy access to highways, nearby amenities and ample shopping in Scottsdale and Phoenix, make this community a must-see destination for home buyers searching in the Scottsdale area. 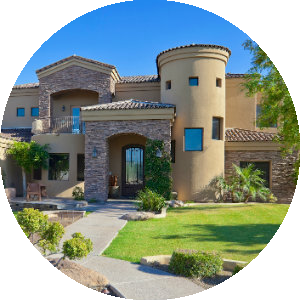 If you would like more information on homes for sale in Troon, Arizona, please allow us to assist you and contact us today. You'll find the very latest homes for sale in Troon featured below. This information is updated throughout the day so be sure to check back often! 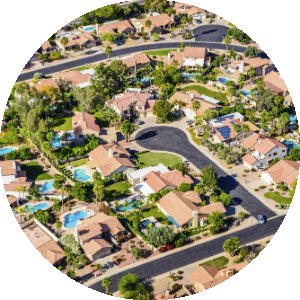 Search the complete inventory of Troon homes for sale by price, community amenities, square footage, and more using our detailed ADVANCED SEARCH option. See something that interests you? Want more information? 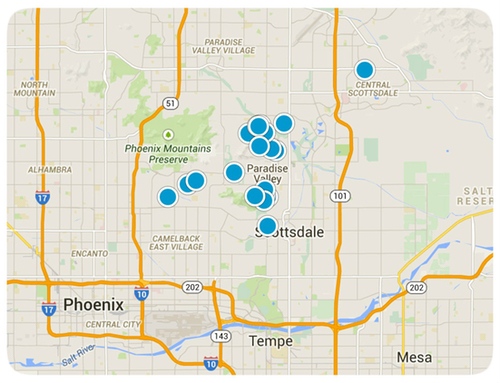 Contact Us anytime to schedule a private showing for any property you find on this site or for more information on the community of Troon and all Scottsdale real estate.